‘Keep the receipt’, a phrase that’s embedded into consumer consciousness. Getting that proof of purchase is not only essential for auditing purposes but essential if we want to return goods. Our obsession with receipts has filled our wallets, purses, pockets, desks and kitchen countertops with small pieces of paper – with recorded purchases that are can be forgotten as quickly as the purchases were made. Our worldwide paper consumption has grown by 400% in the last 40 years. Today, almost 35% of the total number of trees cut down every year are used in paper industries across the globe. With such reckless deforestation and nonchalant discarding of our financial transactions, the question is, why are still using paper receipts when there are now apps which can replace most things? The reality is that in our consumerist culture, there are simply too many thermal printing receipt facilities for a seamless solution to our proof of purchase system to be integrated in real-time. The world won’t stop buying commodities just so that we can to integrate a better and more eco-friendly way to record transactions. Innovative receipt scanning technology is being introduced to the marketplace with increasing frequency, but as fast as these apps are introduced into the world, they can’t keep the pace with our ferocious consumerism. Not only that, but despite all our technological ingenuity we are yet to invent a digital Point of Sale (Pos) system and format that is functionally superior and can be applied to the huge range of transactions require receipts. Tabscanner has the technology for an application development company to create an app which can read handwriting and printed text on any receipt. With the explosion of online purchasing came the emergence of email order references. Every time a purchase is made with Amazon, or indeed any online retailer, consumers are emailed a product order number to as proof of purchase. The e-commerce market has, to some extent, curtailed the number of paper receipts distributed. However, it’s highly impractical to expect every transaction to be accompanied by a receipt. 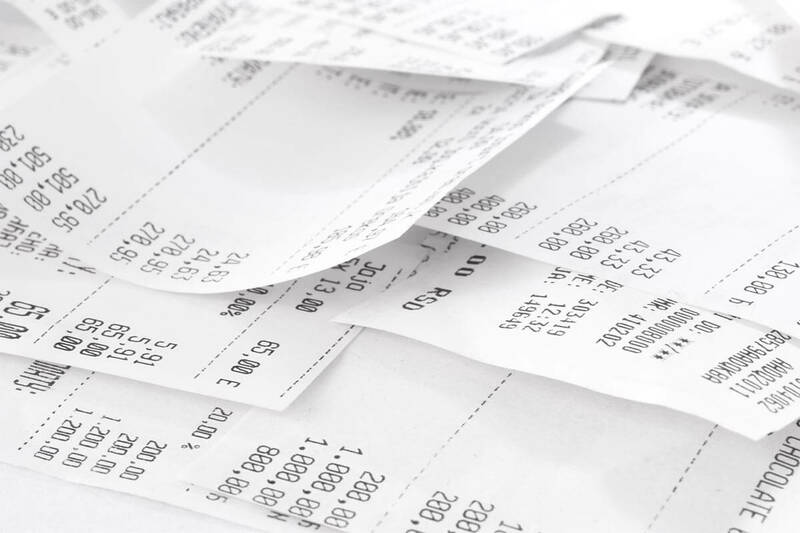 Small businesses, such as restaurants and shops rely heavily on receipts for their own internal financial auditing. It’s really a matter of time and convenience, and receipts are still the quickest way to produce itemised bills of purchase for card, cash and payments with checks. However, things appear to be changing. With the advent of digital banking and online accountancy software and platforms, more and more consumers are beginning to see the potential benefits of digital receipt scanning, and how it can improve financial management. Now, let’s be honest. We all gravitate towards familiarity, resisting change and having that ‘if it isn’t broke, don’t fix it’ mentality. But, despite our hesitancy, digital receipt scanning is coming. If the advent of the digital revolution has taught us anything, it’s that there is always a better and faster way of doing something. Digital receipt scanning is the future of recording transactions. Will this printed receipts disappear overnight? It’s highly doubtful, especially given the diverse range of receipt formats. From printed lists and hand-written paper notes to now digital receipts sent via email, what is sure is that there isn’t one accepted proof of purchase format. So, can we be weaned off our reliance on paper receipts? Absolutely. Given that we rely on technology to help us with almost every area of our lives, it seems inevitable that paper receipts will eventually become a thing of the past. Digital scanning is laying the foundations for us to develop a new and better way of recording transactions and keeping track of expenditure.